At CTCA, the multidisciplinary team approach is the norm, and not the exception. All the physicians and clinicians meet on a regular basis to discuss the best treatment plan for each patient. Dr. Toufic Kachaamy joined Cancer Treatment Centers of America® (CTCA), Phoenix, in July, 2013. As a gastroenterologist trained in advanced endoscopy, including endoscopic ultrasound, he helps care for patients fighting pancreatic, stomach, esophageal, colon, liver or bile duct cancer at our Phoenix hospital. 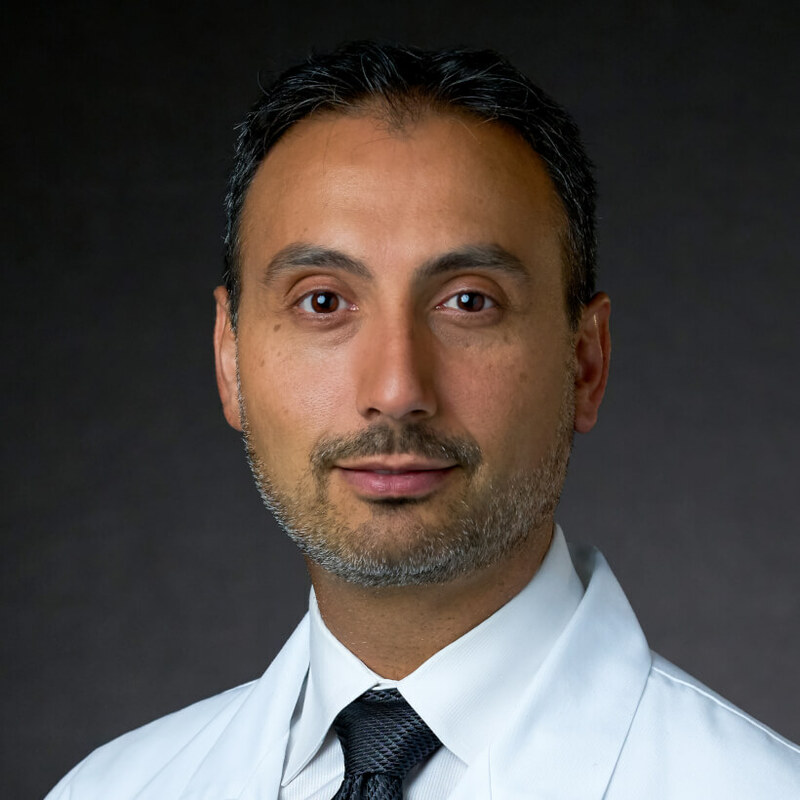 Board certified by the American Board of Internal Medicine, Dr. Kachaamy earned a medical degree from the American University of Beirut in Lebanon. He then went on to complete an internship in internal medicine at Duke University in Durham, North Carolina. Additionally, he completed a fellowship in gastroenterology at Virginia Commonwealth University in Richmond Virginia. Most recently, Dr. Kachaamy completed an advanced endoscopy fellowship at Mayo Clinic in Phoenix. He is also a member of Alpha Omega Alpha Honor Medical Society. Dr. Kachaamy’s research has been published in Gastrointestinal Endoscopy, expert reviews of Gastroenterology and Hepatology, and Clinical Gastroenterology and Hepatology and Current Opinion in Gastroenterology. He has also given many research and oral presentations in national meetings on topics related to digestive health. In his spare time, Dr. Kachaamy enjoys traveling and learning about new cultures. He also enjoys spending time with his family, cooking and skiing.